ROSEAU, Dominica, Aug 14, CMC – The main opposition United Workers Party (UWP) is calling on the Dominica government to make public the recent 25 year agreement it signed with the US-owned Ross University School of Medicine (RUSM) that still allowed for the school to be relocated in Barbados. 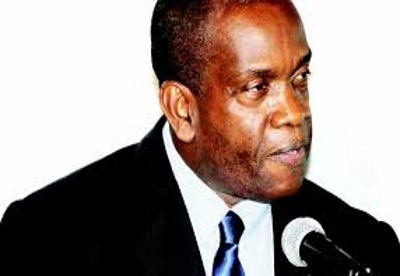 “Given the apparent support of Prime Minister Roosevelt Skerrit for the relocation of Ross University to Barbados, the people of Dominica have a right to full disclosure of the 25-year agreement that allowed this to happen without notice. We need to know what are the unmet government obligations under the agreement that allowed Ross to relocate without breaching the agreement,” the UWP said in a statement. Earlier this month, Skerrit announced Ross University, which had been forced to relocate its operations to St Kitts and the state of Tennessee in the United States following the passage of Hurricane Maria last September, would be leaving the Eastern Caribbean nation after 40 years. His announcement was followed by a press conference in Bridgetown where Barbados Prime Minister Mia Mottley and the president Adtalem Global Education and chief executive officer at Ross University, Lisa Wardell, announced that Bridgetown would be the new home of the American university by January 5, 2018. The Skerrit administration said it had informed the RUSM that it could have resumed its operations on the hurricane struck island even before the start of the January semester in 2019. The island’s ambassador to the United States and the Organisation of American States (OAS), Vince Henderson, speaking on a radio programme last Tuesday night, read from a three-page letter Prime Minister Skerrit had sent to the university in July indicating that plans were advanced for the resumption of classes in Portsmouth, north of here. “It is my fervent hope that all things considered there will be a much earlier re-opening of the campus that has been indicated in your earlier communication and during your visit in April 2018,” Skerrit wrote in the July 9 letter to Wardell. But in its statement, the UWP said that after 40 years of serving as a major engine of economic activity in Dominica, “the Prime Minister found it impossible to negotiate even a phased withdrawal that would give the country at least 12 months to cushion the devastating blow and prepare for adjustments”. The party said that the circumstances of the termination “allow us to conclude that the Prime Minister failed to deliver on the investment support and public infrastructure improvements that had to be addressed satisfactorily within the context of the agreement to facilitate a return of Ross. What exactly does the agreement provide? It said that the National Committee on Foreign Medical Education and Accreditation in the United States is authorized to evaluate the standards of accreditation applied to foreign medical schools and to determine their comparability to standards applied to medical schools in the United States. “This determination of comparability of accreditation standards by NCFMEA is an eligibility requirement for foreign medical schools to participate in the US government’s student financial assistance program and is therefore extremely important to Ross. “Yet, under the watch of the Prime Minister who made himself directly responsible for Ross, there has been no determination, for more than 10 years, that accreditation standards in Dominica are comparable to those of the United States,” the UWP said. The party said it has also taken note that both the chief economic and political advisor to Prime Minister Skerrit are Barbadian Avinash Persaud and Hartley Henry, both of whom serve in the same capacity to Prime Minister Mottley. “These advisors had the inside track on the challenges faced by Ross in Dominica and were no doubt asked to advise both Prime Ministers. What was their advice to their Dominica boss about facilitating Ross to stay in Dominica? “What was their advice to their Barbadian boss about facilitating Ross to relocate to Barbados? Did they even advise their bosses that they should, as CARICOM partners, meet with the owners of Ross to work out the best way forward for Dominica – a CARICOM Single Market and Economy country that stands to lose the significant development benefits of a 40-year investment relationship? “Only Barbados is benefitting from this glaring conflict of interest in which the same political and economic advisors serve masters in Bridgetown and Roseau,” the UWP said. On Monday, St. Vincent and the Grenadines Prime Minister Dr. Ralph Gonsalves said he would not blame either his Dominican or Barbadian counterparts for the controversy surrounding the decision of the US-owned Ross University to re-locate to Barbados. Speaking at a news conference, Gonsalves told reporters that he had received information “from different sources” and he does not believe that ‘anyone can reasonably blame Prime Minister (Roosevelt) Skerrit (of Dominica) of losing Ross University neither can one reasonably blame Mia Mottley of poaching Ross University. 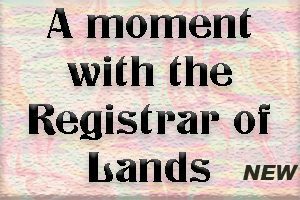 “The matter which comes out stark to me first of all is that the business entity has no loyalty to any country or any community if that loyalty conflicts with what they perceive to be their immediate, medium term long term interest,” Gonsalves said. 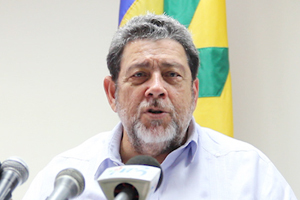 KINGSTOWN, St. Vincent, Aug 13, CMC – St. Vincent and the Grenadines Prime Minister Dr. Ralph Gonsalves Monday said he would not blame either his Dominican or Barbadian counterparts for the controversy surrounding the decision of the US-owned Ross University to re-locate to Barbados. Over the weekend, the Dominica government called for an end to the “unwarranted verbal attacks” against the Barbados government as a result of the decision of the university to re-locate after 40 years there. “The decision to relocate to Barbados was a decision taken solely by Ross University School of Medicine (RUSM). The relationship between Barbados and Dominica is longstanding and amicable. The people and Government of Barbados have always stood with us both in good times and most recently in difficult times,’ Skerrit said in a radio and television broadcast. The Skerrit administration said it had informed the Ross University School of Medicine that it could have resumed its operations on the hurricane struck island even before the start of the January semester in 2019. “It is my fervent hope that all things considered there will be a much earlier re-opening of the campus that has been indicated in your earlier communication and during your visit in April 2018,” Skerrit wrote in the July 9 letter to the Adtalem Global Education president and chief executive officer at Ross University, Lisa Wardell. “I wish to assure you that all the arrangements we discussed for the accreditation for Ross by the Medical Board have been acted upon to meet the desired expectation,” Skerrit added. Last week,Prime Minister Mottley denied there was anything underhanded by her administration into accepting the Ross University School of Medicine’s move to the island. “Barbados came into the picture, only when, for Ross University, returning to Dominica for the start of the January semester in 2019, was not an option. This is not and has never been a case of poaching or enticing anyone away from Dominica,” she said in a statement. Earlier this month, Skerrit announced Ross University, which had been forced to relocate its operations to St Kitts and the state of Tennessee in the United States following the passage of Hurricane Maria last September, would be leaving the Eastern Caribbean nation after 40 years. Hours later, Mottley and Wardell held a press conference in Bridgetown indicating that Barbados would be the new home of the American university by January 5, 2018. In her statement, Mottley said while she could not speak for or on behalf of Ross, “the hands of the Barbados Government are clean in this matter”. Gonsalves said Ross University was built in Dominica, recalling that “when Ross went to Dominica in 1978 …they started with 80 students, they would have had a hurricane in 1979…that did not stop them, they were just up and running, they came back. “They have had other hurricanes. The Barbados government, nobody could tell Ross that there will be no hurricane in Barbados. Barbados has had hurricane in the past. “They (Ross) have assessed where they are. The back to back hurricanes were probably the occasion, the spark for them having consideration for moving. But they would have assessed that their immediate, long term interest is no longer with Dominica”. Gonsalves said the decision by Ross was “clearly” not based solely on the weather. Gonsalves recalled that when the off shore medical schools were first coming into the region, some Caribbean countries campaigned against them saying “they are bad for the medical profession. “Now their thinking is clearly different,” he said, adding he is unaware if the medical professionals in Barbados “are yet convinced about having it (offshore medical school). “It is going to be interesting to see how those medical doctors going to work with the medical students at the Queen Elizabeth Hospital. I am sure they would be working out all of those problems and I don’t want to be negative about that, but I come back to the fundamentals that you can’t reasonably blame Roosevelt Skerrit or Mia Mottley. “The thing is this between the decision to leave somewhere and to go somewhere else is always some period of uncertainty and that has to be sorted out…and they decided they going to Barbados. But basically 40 years of Ross in Dominica, clearly they did not consider that to be of any importance to them,” Gonsalves told reporters.